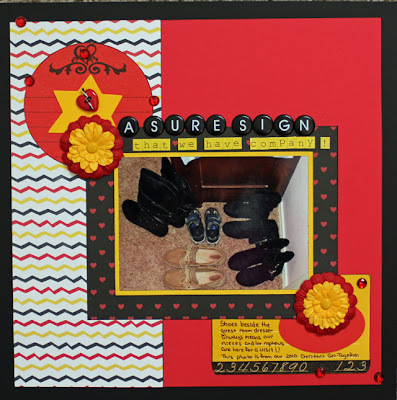 Just a quick post today to share a new layout. 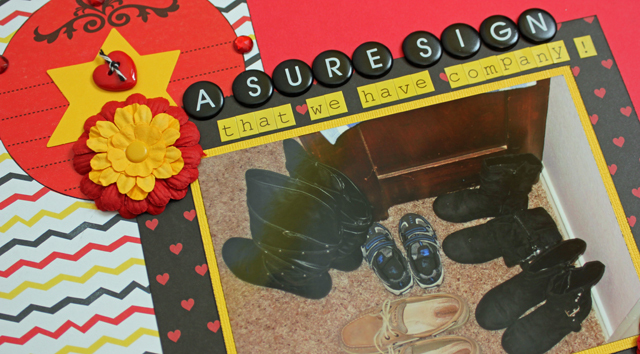 I've had this photo in my storage binder for a while and thought it worked perfect with these black, red & yellow papers and embellishments. For the first time in many years, we did not have any visitors this summer because of busy and conflicting schedules, but this photo makes me smile remembering all the times my nieces and nephews have visited over the years. 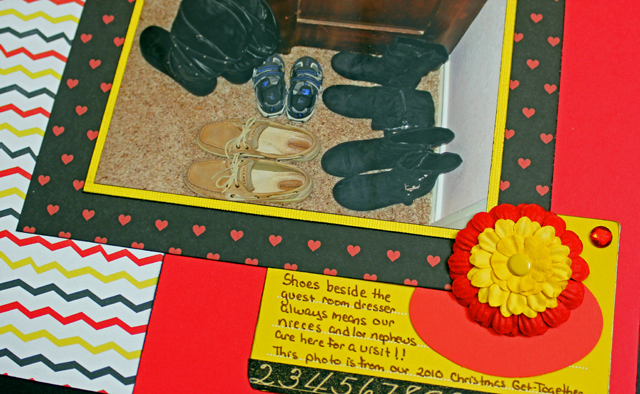 Journaling reads: Shoes beside the guest room dresser always means our nieces and nephews are here for a visit! This photo is from our 2010 Christmas Get-Together. Have you taken a photo of shoes lately? What do think of when you see that photo? I've had football boots, trainers, running shoes, golf shoes and many more in my porch for years and this just from my youngest son!! Love this color combination. I'll have to remember to snap a photo of shoes next time the family is here! Close - I took a photo of my daughter's bare feet, to remind me that she always pulls off shoes and socks as soon as she comes into the house! 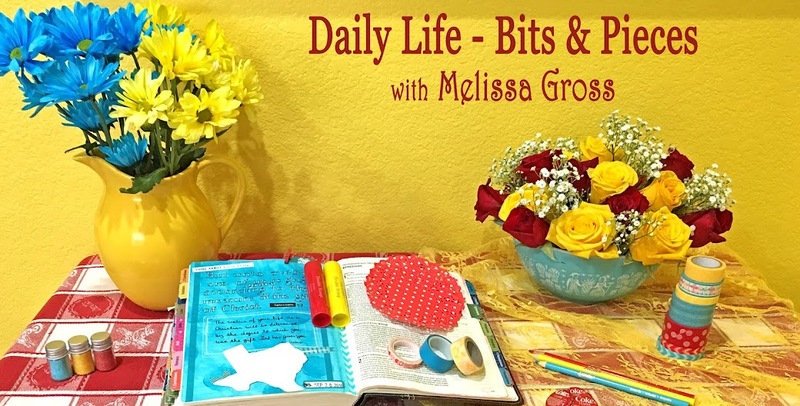 I love the moments you scrap, Melissa :) I love your layouts too, of course - but I love that you capture the little details along with the big moments! This is a great layout. We have a house guest now and I'll have to get a photo of what items show we have someone staying over. Thanks for the inspiration. Love the colours on this. thanks for commenting on my storytrelling Sunday-got to ask What's a letterjacket? This is such a nice thing to scrap, Melissa! and glad it holds such nice memories. Those bold colours are great with the photo. LOL a great topic for a page. This is our sign for company too. We have shoe cabinets for (most of) our own shoes though the boys' hi-tops are now so huge that they don't fit! Terrific page! 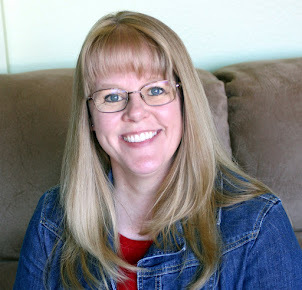 I found your blog through your comment on the PRT show #186. Thanks for including a link so we could see it.